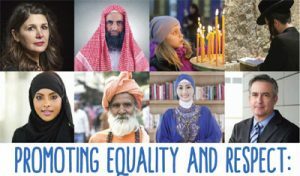 Religions for Peace – Restoring Dignity! 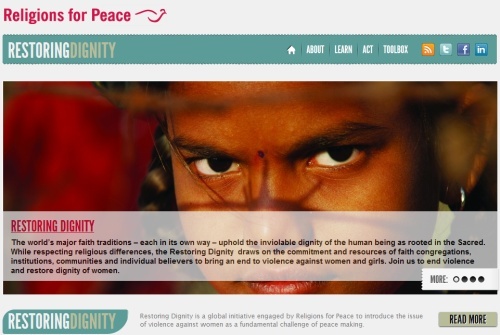 Restoring Dignity is a global initiative of Religions for Peace designed to introduce the issue of violence against women as a fundamental challenge of peace making. 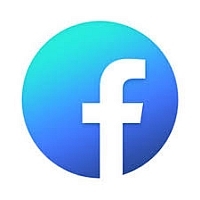 The new website offers users interactive ways to engage in the initiative, including signing a pledge, sending an e-card, making a donations, designing a poster and/or an e-card, as well as resources for offline actions and activities such as holding an interfaith retreat and supporting survivors. To learn more about the initiative, or take action please visit www.restoringdignity.religionsforpeaceinternational.org . 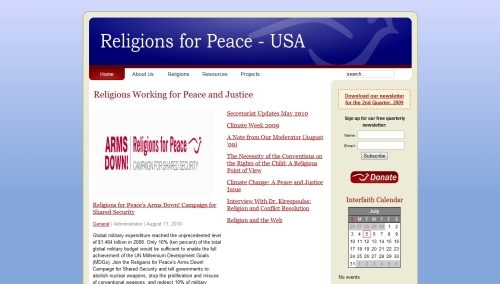 Religions for Peace – Arms Down! 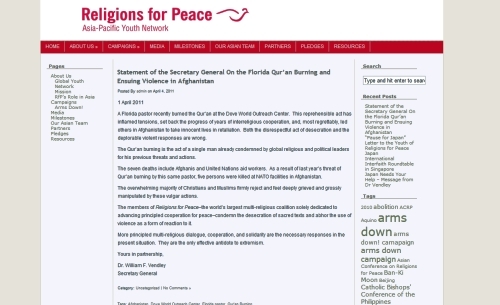 Religions for Peace – Arms Down! 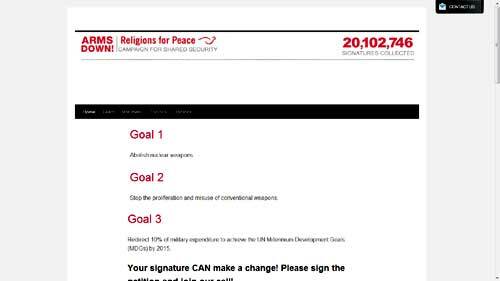 is a world-wide campaign for shared security, promoting the abolition of nuclear and conventional weapons. There is a signatory, and over 20 million signatures have been collected to date. 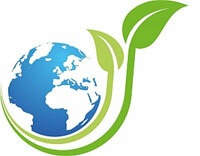 For RFP-USA, peace and justice are the motivation, process, and outcome of our efforts. As an educational, information-gathering organization, RFP-USA brings leaders together, facilitating the development of new relationships between communities while strengthening the connections that already exist. RFP-USA is trusted advisor: a collaborative organization with a body of knowledge it is eager to share-ready to serve as a consultant and guide for corporations, agencies, and civic organizations working on matters of diversity and inclusion. 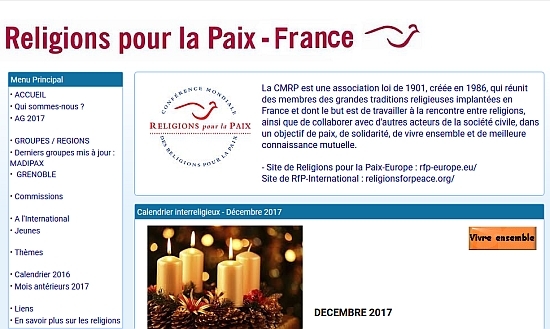 Religions for Peace – European Council of Religious Leaders is one of five regional Interreligious Councils (IRCs) within the Religions for Peace network. 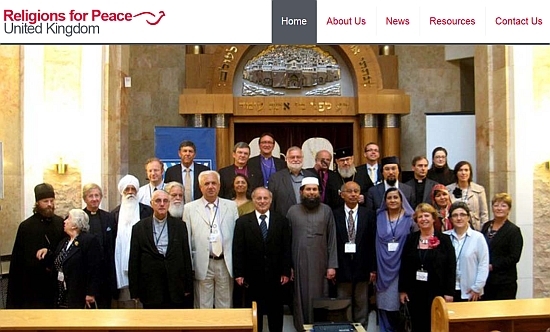 The European Council of Religious Leaders brings together senior religious leaders from Europe’s historical religions: Judaism, Christianity and Islam together with Buddhists, Hindus, Sikhs and Zoroastrians. The Council was founded in Oslo in 2002. 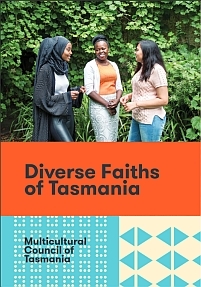 We seek a world where people of distinct religious communities live together in respect, acceptance and mutual support, creating paths to peace. We are working to help prevent conflict and war and to help create justice, peace and harmony, here in the UK, in Europe, and across the world. You can help build a better world. Religione per la Pace – sezione italiana informs you that the goals the Conference has, are: In addition to international organizations, along with many other movements, it takes up work to promote, within our humanity, a peaceful and fair co-existence based on mutual respect and a better distribution of resources of the earth, through a commitment to peace education and dialogue, the dissemination of the ideals of brotherhood and reconciliation, along with promoting disarmament and cooperation between peoples. 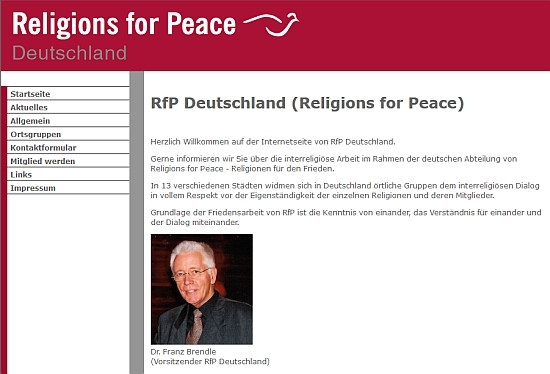 Religions for Peace – Deutschland informs you about the interfaith work in the framework of the German Department of the (World Conference), Religions for Peace. Situated in 13 different cities in Germany with local groups participating in inter-religious dialogue with full respect for the autonomy of individual religions and their members. 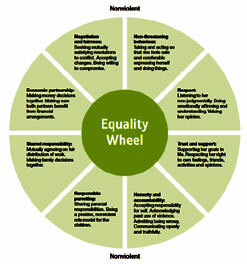 The foundation of the peace work of the RFP is awareness of each other, understanding each other and dialogue. 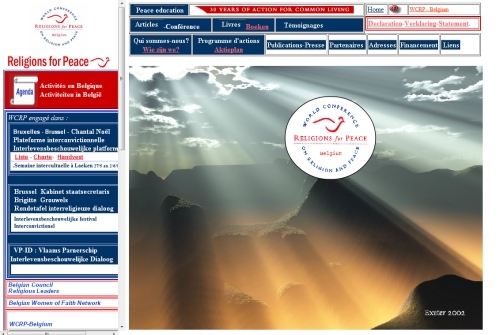 Conférence Mondiale Religions pour la Paix is an association created in 1986, bringing together members of major religious traditions established in France and whose goal is to work on the encounter between religions, and to collaborate with other actors of civil society , with the objective of peace, solidarity, living together and mutual knowledge. Belgian Conference WCRP has Belgian and Dutch content and an extensive listing of both the Belgian Women of Faith and the European Women of Faith Networks. Dual language site, Dutch and French. Religions for Peace – Asia declares Asia accounts for one third of the world continent and half of the global population and is the home of many outstanding civilizations, including those of ancient Mesopotamia, and the Indus and Yellow river valley. 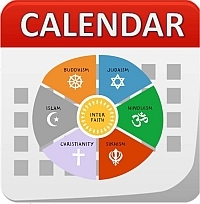 Judaism, Hinduism, Buddhism, Christianity and Islam all originated in Asia. ACRP has the mission of using Asia’s spiritual talent to serve as model in showing the rest of the world what it means to live in harmony, and to bring out the best of our human nature. 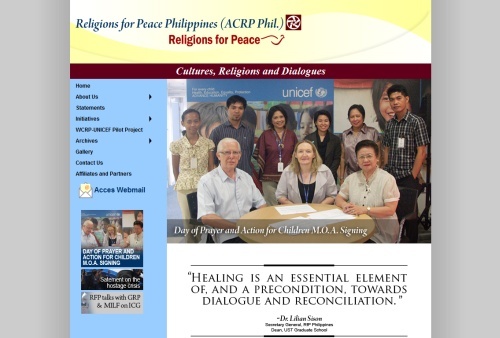 The aims and aspirations of ACRP are to re-vitalize Asian religious heritage and to promote a creative and critical awareness of religious people in Asia in pursuit of peace, justice and human dignity; and, to motivate the people of Asia and the Pacific region to make concerted efforts in promoting peace. 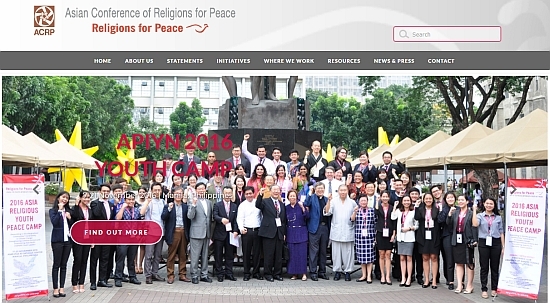 Asia & the Pacific Interfaith Youth Network embraces unique opportunities for conflict transformation and peace building in that it is one of our world’s most diverse multi-religious regions. With populations that embrace Buddhism, Confucianism, Christianity, Hinduism, Islam, Indigenous spiritual traditions, Sikhism, and Taoism, this diversity offers possibilities to align its strengths in progress towards peace. In each zone of conflict in Asia, there exist religious communities playing needed roles in conflict transformation at various stages of conflict. Religion’s ability to unite communities and bring people together must be tapped if we are to move towards a sustainable future and transcend violent conflict. With sustained efforts, intractable conflicts can be transformed into areas of cooperative coexistence. 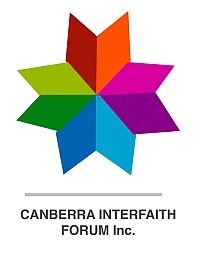 Indonesian Conference on Religion and Peace (ICRP) is a legally incorporated foundation which is non-sectarian, non-profit, non-governmental, independent and engaged in interfaith dialogue of religions. Founded and led by interfaith leaders, ICRP is trying to spread the tradition of dialogue in the development of religious activity in and the humanist and pluralist homeland of Indonesia.